If you're considering selling your business, please do not hesitate to call us on 01702 551334 to speak to one of our experienced valuers, alternatively CLICK HERE for a valuation application form to fill out with your business details and one of our experienced valuers will contact you from there to arrange for a confidential, no obligation appraisal of your business. In normal circumstances we like to have an initial discussion with you in the strictest of confidence, then would arrange a mutually suitable time for one of our experienced valuers to meet with you at your business premises to value the business and discuss marketing strategies. We appreciate that visiting your business premises during trading hours might be a sensitive issue, therefore we try to accommodate you where possible with appointments at a mutually convenient time. Following our meeting, when signed instructions are given, we would prepare detailed marketing particulars including the main information a potential buyer will want to know prior to arranging a viewing. We would use the detailed notes that we take on our initial appointment with you to ensure that all information is correct. Colour photographs of your business can be used on our marketing details if required to present your business in its best possible light. The marketing particulars will then be submitted to you for approval prior to marketing. Once you’ve approved the particulars prepared, marketing will commence with a programme tailored to your personal requirements. If required, we do not have to include photos, the name or address of your business. In circumstances where it’s vital that a business is sold in the strictest confidence, we would not even advertise the town where the business is located and are happy to just say the county where the business is located, alternatively something like South East Essex or similar. In normal circumstances our marketing programme includes carefully matching qualified applicants from our extensive database to your business. We do extensive online marketing across numerous Business Transfer portals including Businesses For Sale, Daltons Business and Right Biz, ensuring your business gets maximum exposure both nationally and internationally. Once we have an applicant interested in your business, following them receiving, reading and understanding the marketing particulars, the next step is for them to arrange a viewing of the business. Prior to arranging a viewing, if required we will ensure that confidentiality agreement is completed, as well as qualifying any potential viewer to ensure they are a viable candidate to proceed to purchase the business if interested. The information we request includes previous business experience, previous experience in the trade they are looking to get into, financial position etc. Normally applicants are not accompanied by us on viewings, although in special circumstances it can be arranged. This is because applicants generally just want to speak to the business owner to ask questions specifically about the business that only the business owner will know the answers to. Following the appointment, we always endeavour to speak to the applicant to obtain some feedback from them and report this information to you whether the feedback is good or bad. We feel it’s very important to keep you informed on all feedback received to realise a sale of the business. After viewing, interested applicants then generally want to see further information to assist them in deciding on whether they want to proceed or not. The most commonly asked for information following a viewing is the last 3 years accounts, the most recent VAT returns and a copy of the lease on the property, if applicable. Ideally, we like to hold this information on file, so when an applicant requests accounts or the lease, we can easily send it through to them. This information is ONLY sent to seriously interested applicants who request this information after viewing a business and after you have given us permission to release it. Unless very experienced, applicants will normally take the financials to an accountant to review and should any enquires follow, we encourage these get asked to us rather than direct to you. After an applicant has satisfied themselves with all further information they require, we encourage them to make an offer which we would then submit to you. We would advise you on this offer, taking into account the length of time the business has been on the market, the level of interest received, current market conditions and taking into account other feedback that had been received from any previously interested applicants. When an offer is accepted, we usually request a deposit, proof of finance, solicitors’ details and referees that we can write to in order to obtain references for the landlord, if you are selling a leasehold business. Until receipt of a deposit, your business will remain for sale and marketing continues. To help both buyers and sellers we have may established contacts with commercial solicitors and commercial finance companies who can assist. Upon receipt of all information request and a deposit being received, Heads of Terms are prepared then issued to all parties including the seller, buyer and both solicitors acting for them. 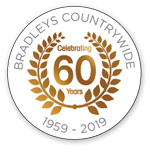 Some agents end their involvement here and think they have done enough to be paid their fee on completion, legally they are probably correct, however, at Bradleys Countrywide our involvement continues all the way to completion. To accommodate this, we have a very experienced Sales Progression Department who oversee all sales from the moment solicitors are instructed at the start, all the way to completion. They will keep you informed on the latest position of the transaction, liaising with all solicitors involved to ensure that the sale progresses smoothly and that it reaches completion in the timeliest manner. From 1 October 2008 sellers and landlords are required by law to provide an Energy Performance Certificate (EPC) for all buildings or parts of buildings when they are sold or rented. The certificate provides energy efficiency with a rating system of A-G and recommendations for improvement. EPCs were first introduced for the sale of domestic homes, as part of the Home Information Pack also known as a HIP. Although from April 2008 this was extended to newly built homes and large commercial properties. The ratings (similar to those found on products such as fridges) are standard so the energy efficiency of one building can easily be compared with another building of a similar type. From April 2018, the proposed legislative changes would make it unlawful to let residential or commercial properties with an EPC Rating of F or G (i.e. the lowest 2 grades of energy efficiency). This could have very significant implications for landlords and for occupiers who wish to assign or sublet space, including: Marketability of some properties would become impossible unless they were upgraded to meet the minimum standards. It is estimated that approximately 20% of non-domestic properties could be in the F & G rating brackets. Further clarification on the transactional trigger for minimum energy standards is awaited; however, the new minimum standards could apply to all lettings and re-lettings, including sub-lettings & assignments. Valuations of such properties could be affected if their marketability is diminished. Rent reviews for properties in this situation could also be affected. Implications for dilapidations assessments would also exist. For a building to fall within the requirement for an EPC it must have a roof and walls and use energy to condition the indoor climate (i.e. has heating, air-conditioning or mechanical ventilation) then you will require an EPC. Any Commercial Property on the market before 1st October 2008 and remaining on the market will need an EPC by 4th January 2009 at the latest. If it is sold or rented out in the meantime, an EPC must be commissioned and then handed to either your agent or solicitor. Temporary buildings with a planned time of use less than two years. Stand alone buildings with a total useful floor area of 538 square feet (50 metres squared) that are not dwellings. Industrial sites, workshops and non-residential agricultural buildings with low energy demands. Lease renewals or extensions ro existing tenants.